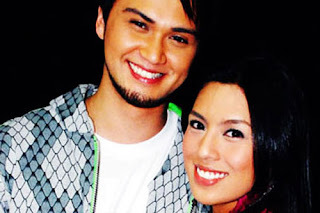 Sad but true story, the international recording artist and 'Showtime' host Billy Crawford and singer host Nikki Gil are now split. The confirmation was from the statement of ALV Talent Circuit sent in a Yahoo! OMG post on Thursday. The statement read, "On behalf of our artists, Billy Crawford and Nikki Gil, we are greatly saddened by their admission that they have indeed mutually agreed to end their relationship of more than four years." And added, "With due respect to their privacy, we are refraining for issuing any other facts or statements related to the issue at this critical juncture." ALV Talent Circuit, is a talent agency which manages the careers of Billy Crawford, 31-year-old and Nikki Gil, 25-year-old. But the confirmation coming from both artist are not yet reveal and the reason behind the break up was not specified. A source told ABS-CBN News that, "Nikki Gil was reportedly seen emotional inside her "ASAP" dressing room last Sunday." Comments or suggestions about "Nikki Gil and Billy Crawford confirmed split" is important to us, you may share it by using the comment box below.